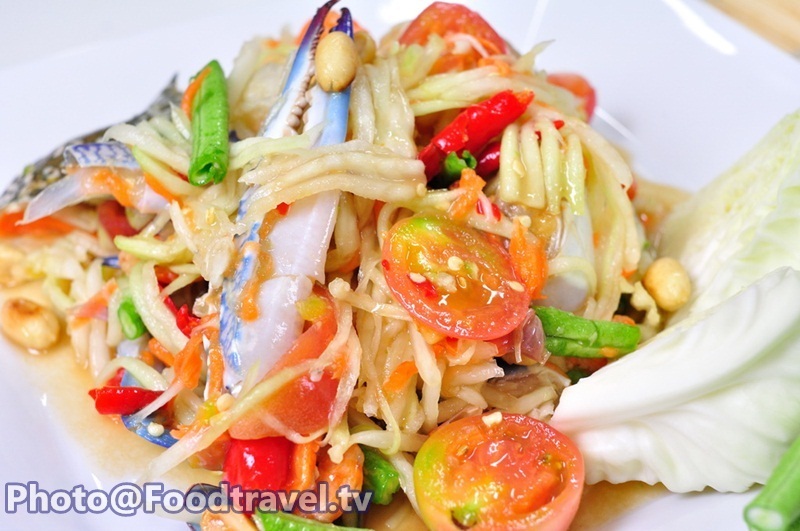 Papaya Salad with Blue Crab - Som Tum Pu Ma - Well combine between seafood and Thai salad. This menu give you the taste of hot , sweet ,salt and sour. 1. Crave papaya and carrot then scrape them to be strip. 2. Pound horse crab and chop them for bite size. 3. Pound hot pepper , garlic and pea together. 4. Put the tomato into the same bowl and seasoning with sugar , fish sauce , lime juice and keep pound them. 5. 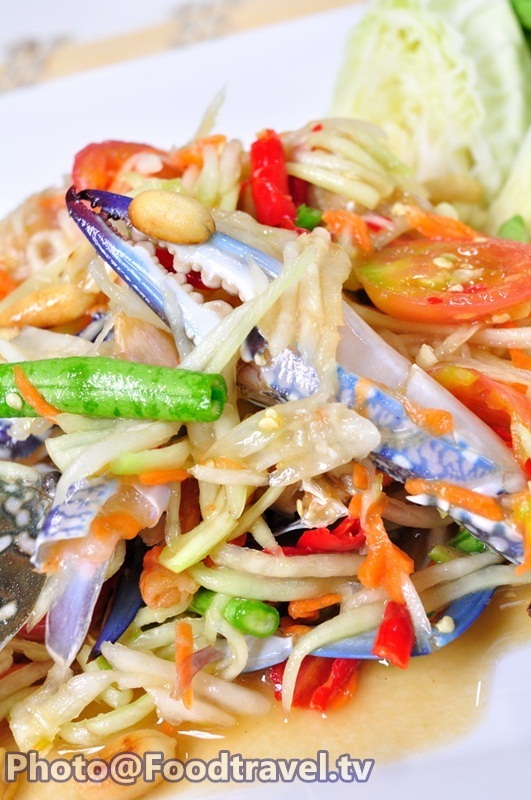 Put the crab, papaya and carrot into the bowl. After that put peanut and dried shrimp and stir all mixture together. Serve with vegetables.